PAWCATUCK — Davis-Standard LLC, the Pawcatuck-based designer, manufacturer, and distributor of extrusion and converting technology, will promote its extensive product lines at two major trade shows in Shanghai, China. The events, scheduled for Sept. 20 to 22, are Medtec China, devoted to medical technology, and RubberTech, China. At Medtec, Davis-Standard will market medical tubing equipment, including extruders, controls, feedscrews, downstream equipment and complete systems. 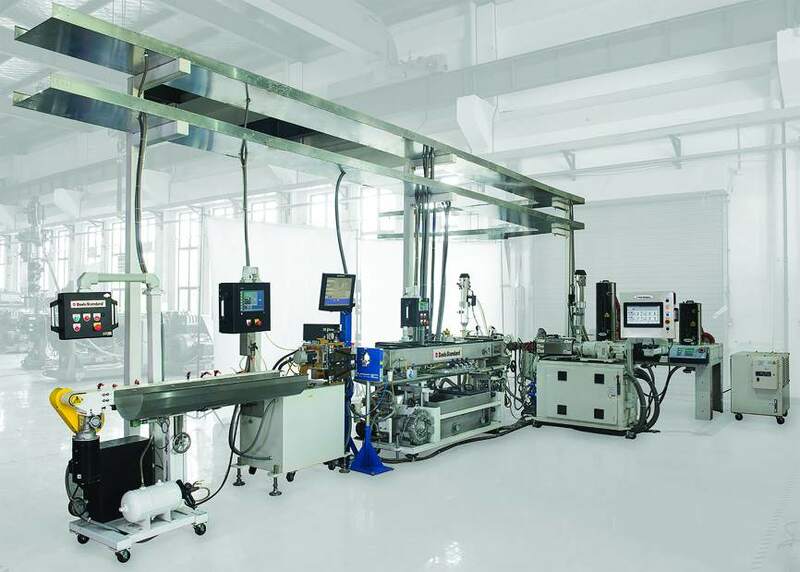 In addition to equipment, the company’s in-house laboratory at its subsidiary in Suzhou, Davis-Standard (Suzhou) Plastic Packaging Machinery Co. Ltd., supports process development for medical tubing applications with a high-speed FPVC extrusion system (flexible polyvinyl chloride) and multipurpose microbore tubing line. At the RubberTech convention, the company will promote its elastomer extrusion technology. The company’s Model 2000 hydraulic crosshead will be on display. Davis-Standard supports global rubber markets for tires, automotive hoses, adhesives and sealants, recreational equipment, construction, and medical applications. The Model 2000 crosshead reduces scrap and enables faster start-up times to improve processing efficiencies. The company said it had established a growing regional presence with Davis-Standard (Suzhou) Plastic Packaging Machinery Co. Ltd. “RubberTech is an excellent venue to market our vast elastomer product line because companies from several different countries are represented there, attracting a wide base of potential customers from all parts of Asia,” said Joe Wnuk, vice president of Davis-Standard Elastomer and Profile Systems.